Bed, friendly staff and everything you can find in the fizzy center of Budapest. 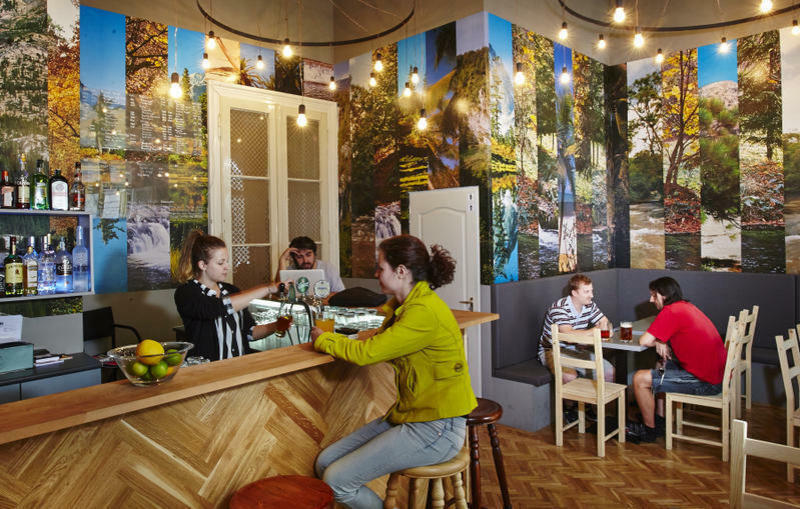 A brand new hostel downtown Budapest. While in most of the European countries pubs and bars are open til midnight, in Budapest visitors can enjoy a party until the next morning. We offer you more to have fun 0-24/7 and even after you can stay at the same place to relax and get accommodation. Be aware of having a great time at the Hobar! If you would like to visit something more, we can keep your stuff safe until you are leaving really. Public transport: At Dek square, right in the city center get on tram 47 or 49 for two stops, than after getting off go on the famous restaurant street, Rday street. Once there, take the first available street to the left and you'll already see our sign above the entrance! By car: First of all you should find lloi way, which is a direct connection between Ferenc and Mzeum boulevards. Driving from the closer Mzeum boulevard Erkel street will be the first on your right, from Ferenc boulevard it will be the one before the last lamp post with blinking yellow lights, just take it to the left!